Details: Check out the BIGGEST Numa Baby SALE EVER!!! All your favorite clothes, organic toys & accessories, books, accessories and tubs from Numa is on SALE! 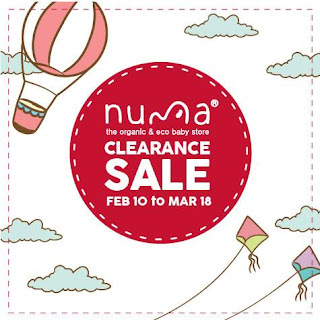 Numa Baby Clearance SALE happens until March 18, 2016 at AEK Bldg. E. Rodriguez Sr. Avenue, Quezon City.